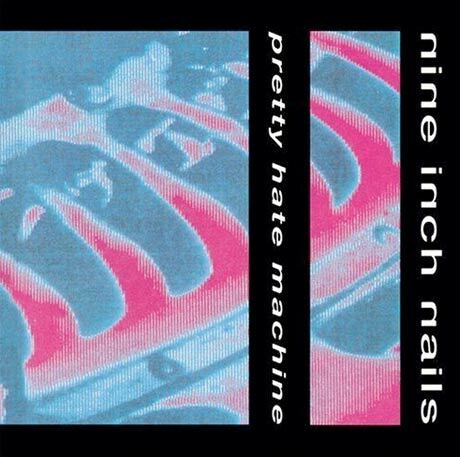 Nine Inch Nails' classic 1989 debut, Pretty Hate Machine, is once again on deck to get the reissue treatment, making the now out-of-print album available again and putting it into the realm of legal digital downloads. The album, originally released on TVT Records, was re-released by Rykodisc in 2005, but is now in the hands of Bicycle Music, an L.A.-based publishing firm. Bicycle Music recently acquired 700 masters - approximately 80 albums - from the Prudential Securities Credit Corp., who had bought the collection from TVT, reports Billboard.biz. Now, Bicycle has announced that it plans to reissue the album. The Bicycle/Prudential deal includes the master tapes to NIN's debut, as well as co-publishing rights to the NIN catalogue from Pretty Hate Machine to 2007's Year Zero. No more details have been announced about the upcoming reissue, but fans will surely be hoping for a bit more Reznor input than that Rykodisc reissue had. Back when they did their reissue, Reznor was interested in being involved and making it a nice deluxe edition, but Rykodisc wasn't willing to pay him, according to the NIN Hotline [via TwentyFourBit]. Nine Inch Nails recently stopped playing live shows, at least for now. Images on the band's site the past few months have shown Reznor and various pieces of studio equipment, suggesting that the man is already hard at work on recording more music. However, at this point, no new album has officially been announced.